More than three years after the D.C. City Council enacted ground-breaking anti-litter legislation, an initial burst of enforcement activity has slowed. Police are ticketing fewer motorists, and a pilot project expanding the crackdown to pedestrians appears stalled. The Metropolitan Police Department issued 225 tickets for littering from a vehicle in 2009, the year the new legislation took effect. Since then, enforcement numbers have plummeted. There were 63 tickets issued in 2010 and 64 in 2011. Of the 352 tickets issued over the three-year period, 62 were dismissed. On May 1 of 2011, amid a splash of publicity, MPD further implemented the new legislation by launching a pilot project in its 4th District to target pedestrians and other persons who litter in non-traffic situations. 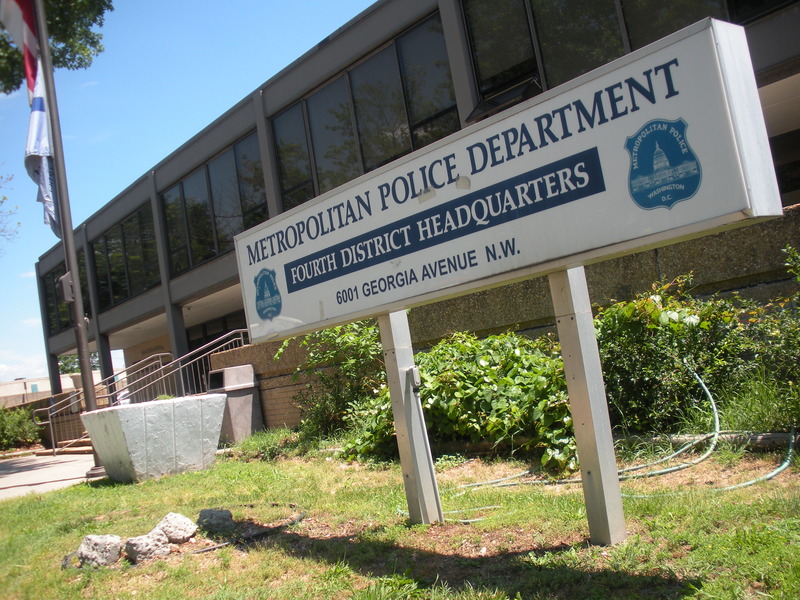 Initially envisioned as lasting a few months, with citywide enforcement possibly coming as early as the fall of 2011, the pilot project remains confined to the 4th District, which is east of Rock Creek Park and north of Park Road N.W. and Michigan Avenue N.E. Only 14 tickets for non-traffic littering had been issued through May 17 of this year, with the most recent ticket dated February 4, according to records released by the D.C. Office of Administrative Hearings. Only two fines had been paid. The Office of Administrative Hearings ― an independent tribunal that hears litigation involving more than 40 city agencies, boards and commissions ― adjudicates tickets for littering in non-traffic situations. Tickets for littering from vehicles follow a separate legal track, with adjudication by the Department of Motor Vehicles. Enacted with police backing, the Anti-Littering Amendment Act of 2008 outlawed, for the first time in the District of Columbia, littering from a moving vehicle. That’s right, the police used to have no legal authority to stop a driver who tossed a greasy Big Mac wrapper or, for that matter, the Big Mac itself from a moving vehicle. Now the police can stop the offending driver and issue a ticket that carries a $100 fine. The new law also requires pedestrians and others stopped for non-traffic littering to provide their true names and addresses to police so tickets can be issued. Persons who refuse to identify themselves can be fined up to $250, although the law does not require them to show police officers any documents to establish their identity. The fine for non-traffic littering is $75. Ederheimer’s assessment follows the so-called Broken Windows Theory of urban crime. First proposed by social scientists James Q. Wilson and George L. Kelling in 1982, the theory holds that signs of social disorder in an urban community ― such as vandalism, littering, and graffiti ― encourage more serious crimes. Though not without controversy, the Broken Windows Theory was touted by New York City Mayor Rudolf Giuliani and his police commissioner in the 1990s, and it is now widely accepted by law-enforcement officials. D.C.’s Anti-Littering Amendment Act took effect in March of 2009. By the end of 2011, the city’s seven police districts showed wide variations in the number of tickets issued for littering from moving vehicles. 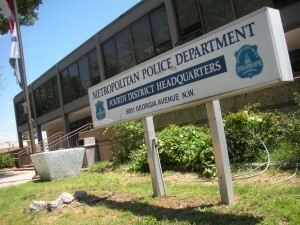 The 6th District, which lies east of the Anacostia River and north of Good Hope Road, topped the list with 79 tickets. The fewest, 14 tickets, were reported in the 3rd District, which includes Adams-Morgan, Columbia Heights, Shaw, Mt. Pleasant, and Dupont Circle. Initial enforcement of the law was limited to littering from vehicles. According to the Metropolitan Police Department, enforcement of the ban on non-traffic littering could not begin until further legislation took effect in January 2011 waiving juvenile confidentiality for such tickets adjudicated by OAH. On April 27 of last year, four days before MPD finally launched its 4th District pilot project to enforce the anti-littering law against pedestrians, Mayor Vincent Gray announced the move in a sternly worded news release. A year later, with only 14 tickets issued through the pilot project, none of them to juveniles, and only two fines collected, the results seemed to mock Gray’s get-tough talk. Most of those who received tickets for non-traffic littering apparently ignored them, resulting in default judgments entered by OAH. In his 2008 testimony, Ederheimer, the MPD assistant chief, foreshadowed the lackluster impact of issuing toothless tickets for littering in non-traffic situations. “[M]ost civil violations are only effective because they are tied to property interests or a privilege that people value,” Ederheimer said, citing as examples property subject to liens, professional licenses, or, most commonly, drivers’ licenses. “People follow traffic regulations because there are real consequences for not following them ― fines for violations are backed up by the suspension of a driver’s license or revocation of vehicle registration if the fines are not paid,” Ederheimer said. Not so with littering tickets in non-traffic situations, a theme emphasized by the MPD in its most recent annual report. “Without repercussions for an offense, the government’s ability to hold violators accountable for this civil offense is limited, and the tickets may not be enough … to change their behavior,” the police department stated. Efforts to breathe life into D.C.’s Anti-Littering Amendment Act raise the larger question of law enforcement’s proper role in addressing the litter problem. In recommending the 2008 legislation, the D.C. City Council’s public safety committee stated that enforcement against littering should be part of a larger public-education campaign and voluntary-compliance program. The Alice Ferguson Foundation, which helped coordinate a Litter Enforcement Month involving 10 Washington-area jurisdictions in April, has been nudging the region’s police agencies in recent years to beef up enforcement of anti-littering laws as part of its effort to protect the Potomac River watershed. The foundation views law enforcement as a key element of a “holistic” approach to litter that includes public education, said Clara Elias, a program associate at the foundation. “We believe by stepping up enforcement efforts we can change behavior,” she said. A 2008 survey of residents in the Potomac River watershed revealed that only 6 percent thought there was a chance they could be caught for littering, a finding reinforced by focus groups of confessed litterers, according to Elias. “One of the reasons that we heard over and over again was they thought they could get away with it,” she said. The foundation conducts training for law-enforcement personnel in litter enforcement and is working with the Metropolitan Police Department to devise a training manual that will become part of MPD’s continuing-education program for officers. Meanwhile, there appears to be no immediate plan to roll out a citywide version of the MPD pilot project that targets non-traffic littering. Wayne Savage is the owner of Mid-Atlantic Litter Cleanup Service, a Washington, D.C.-based public space litter-removal company. This entry was posted in Alice Ferguson Foundation, Anti-Littering Amendment Act of 2008, Litter, Metropolitan Police Department by Wayne Savage. Bookmark the permalink. Litter might seem insignificant when compared to the many serious problems in urban areas. But change has to begin somewhere–and starting small can lead to real change in those much larger problems. Thank you, Wayne, for caring enough to take action. The best welcome sign for thugs is a littered street. It subconsciously communicates this is a place where trouble belongs, a place where bad guys can relax, a place where people don’t pay attention. I hope D.C. officers often use the new tools they have been given.